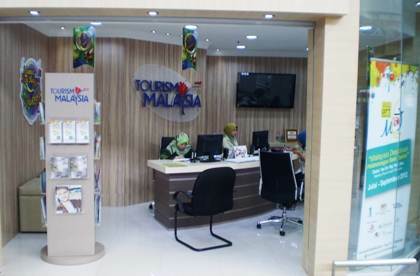 There are only three official Tourist Information Centers (TIC) in Langkawi that are run by the Malaysia Government. In fact they not only help with tourism information of the island, they also assist with information for the whole of Malaysia with an emphasis on local tourism in Langkawi. One such official center is located at the arrival hall of the airport, one at Kuah Jetty Point next to the Kuah Ferry Jetty, and the other in Kuah Town Center. But if you walk along the main street of the most tourist populated place Pantai Cenang, you will notice several roadside stalls and shops having put up large boards boldly displaying 'Tourism Information'. Don't get conned by those. They are only traps to attract you. Once you start talking to them, they will start pushing some private tours or activities which they operate. Most of them of course will give you a free standard tourism map of the island with lots of commercial ads on them and also some colorful brochures of private tours all claiming to be best in the island. Once you look at those materials, you know this was not why you approached them in the first place. So avoid these self proclaiming Tourist Information Centers if you are only looking for proper tourism info. However you can always approach them to figure out their tour offerings and rates. 4) Local transportation and how to Get Around the island, etc. Additionally, all the Tourist Information Centers offer free maps that can be very helpful to plan your travel within Langkawi, free brochures of most of the attractions & places of interest, events calendar & festivals, various dining options along with restaurants, cuisine & locations etc. You can also collect brochures and literatures on various other destinations of Malaysia. One of the Langkawi maps I had collected from the Jetty Point center had detailed road map with road numbers, locations of gas (petrol) stations, the key landmarks, all the main attractions which were all very handy. It's particularly very useful if you are renting a car to drive around the island yourself. Here are the locations and contacts of the Malaysia government operated Tourist Information Centers in Langkawi. Located at the Langkawi International Airport, Arrival Hall. Padang Matsirat. 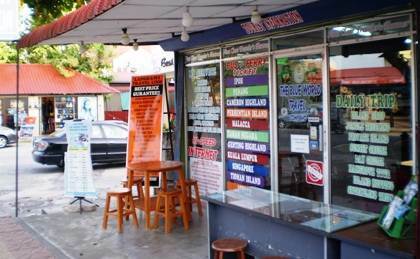 Located at the Kuah Jetty Point Complex, outside the Jetty Point Shopping Mall and on the other side of the road. This is the largest center.